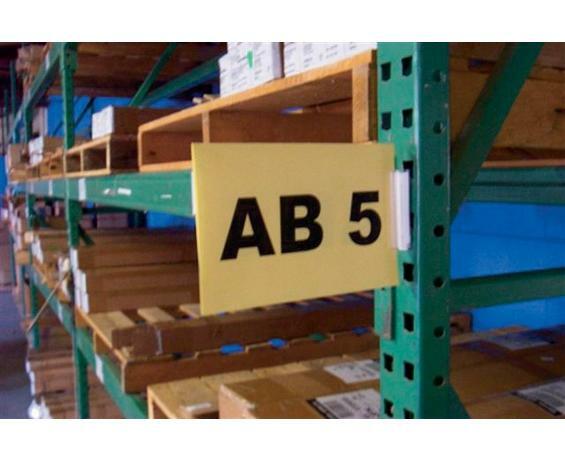 Unique product snaps into pallet rack assembly holes -- just snap out to relocate. Print signs in-house on laser/inkjet compatible paper which is included. Change a destination for only the cost of the paper. Clear plastic sign holder features a soft plastic hinge which allows the sign to flex when bumped with no breakages. 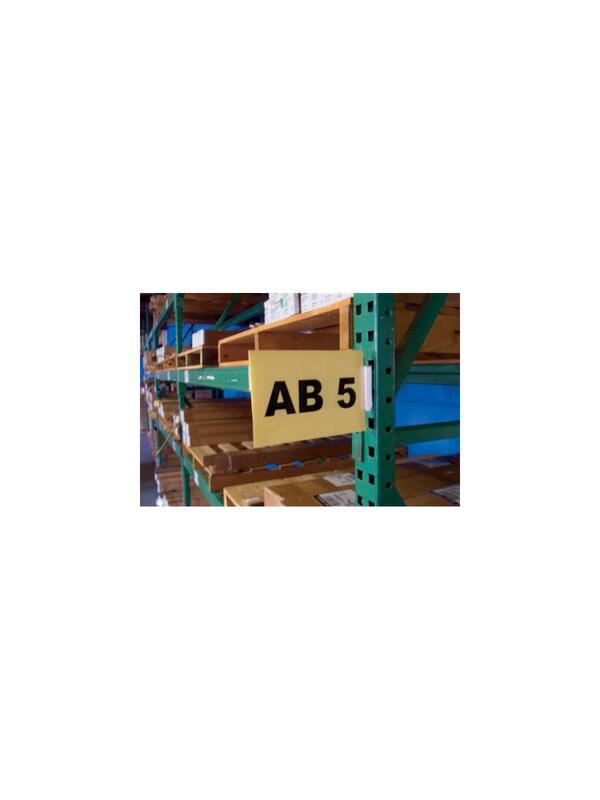 Holds any type of paper stock or plastic signs up to .100" thick. Use 2 holders for signs over 11" x 17". Includes 10 holders per package with 12 laser/inkjet sheets. Kit provides up to ten 11" x 8-1/2" single signs -- or 5-1/2" x 8-1/2" double folded signs. Yellow card stock. 10 per carton. FOB Shipping Point.